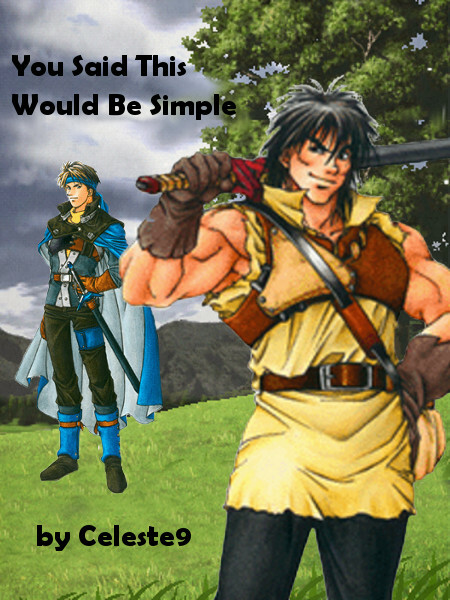 Here's the artwork for smallfandombang for the Suikoden 1, 2 fic You Said This Would Be Simple by celeste9 (or on AO3 here). Go read the fic, even if you've never heard of the fandom, it really doesn't require vast amounts of fandom knowledge to enjoy it. Huge thanks to Celeste for providing me with lots of assistance and images, given this is based on a computer game from *several* years ago, and therefore has remarkably few images available online! Here are two pieces of art inspired by the fic. 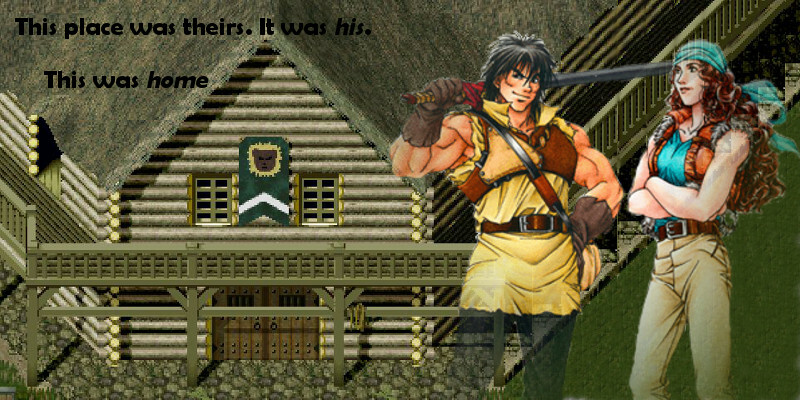 Almost as soon as I read the scene with the fort and the flag, I decided I wanted to make art for it. Rather handily, the fort is one of the few things that there are images for on the net, so that was an unexpected win! This one features a rather more angsty moment from the fic, so it's a shame that there wasn't an image for Viktor where he *didn't* have a big cheeky grin on his face... :-( Flik was more accomodating with the angsty moping, however, so that was good. 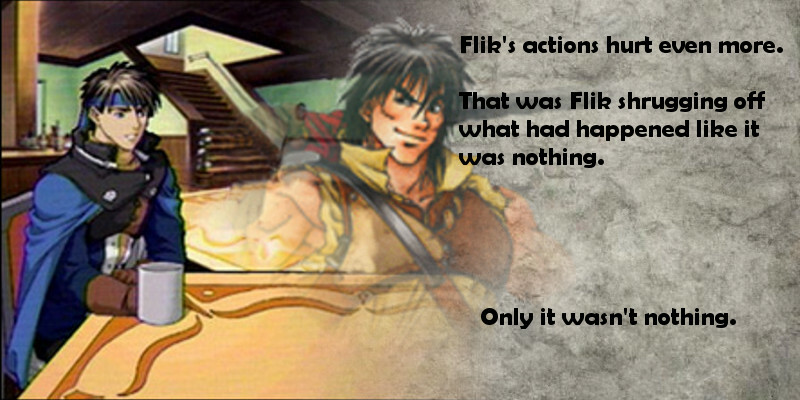 And these are chapter headers, featuring some of the things from the story. More than one expression for Viktor might have been nice, but in general I think they all turned out better tan I had dared to expect. Thanks for all the help and links and pics. It was a great story, so I'm glad the art did it some justice.